RINCO ULTRASONICS is a leading company in the field of ultrasonic welding and cutting technology. With over 130 employees, a presence in more than 40 countries and decades of experience under our belt, we are the strong partner for projects on all scales. From the smallest component to the overall system, we develop individual solutions for customers from all industrial sectors. RINCO products are 100% manufactured in Switzerland and meet the highest quality standards. 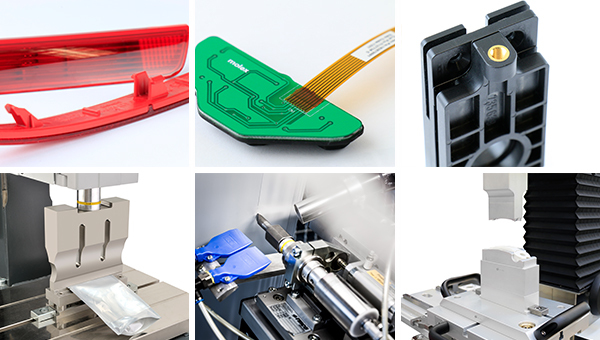 Everything from the automotive industry to dentistry: Ultrasonic products from Rinco open up unimagined possibilities for solving application-specific problems and developing new production processes in all kinds of areas. 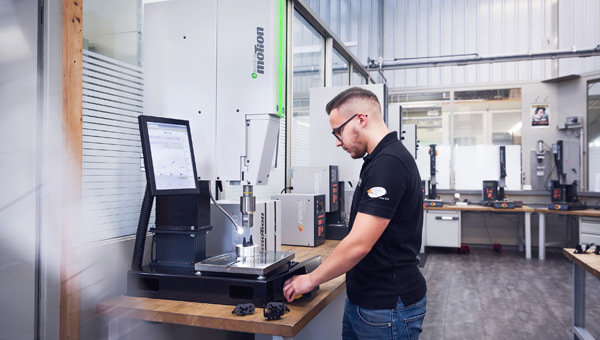 Thanks to individual analyses and broad know-how, we develop tailor-made solutions and thus satisfy our clients in the long term – in all relevant process areas such as welding, cutting, punching, riveting, inserting, fusion forming or sealing. From the standard machine to the customer-specific solution for OEMs, from the smallest component to the largest complete system: Each of our products contains unique technological expertise, embodies decades of experience and delivers enormous flexibility – because most of our products have a modular structure. For example, the components of an ultrasonic manual workstation can easily be integrated into automation lines or special machines. You could also say: Our units grow with their tasks. As a Swiss company, we embody values such as accuracy, reliability, fairness and continuity. That is why our customers can always count on us to put their needs and wishes in the centre of our activities. For instance, we are able to offer the perfect solution for almost every requirement: from the complete system (e.g. welding machines or cutting systems), to individual assemblies (e.g. generators) and individually designed ultrasonic tools. As you would expect, RINCO products are 100% manufactured in Switzerland and meet the highest quality standards. The pursuit of perfection is also reflected in our consulting work: Using state-of-the-art methods, we analyse the applications, processes and materials of our customers, thereby continually setting new service standards. It therefore goes without saying that our consulting does not simply come to an end once the transaction has been completed – because for us, perfection also means entering into permanent partnerships and supporting our customers in the long term with an appropriate aftersales service. The seriousness of our claim to quality is underlined by our large customer base and various ISO certifications (ISO 9001, ISO 13485, ISO 14001), as well as a success story spanning more than 40 years: Founded as a family business in 1976, we are one of the pioneers in the field of commercial ultrasonic applications and have expanded this field year after year. Since 1996, we have been part of the CREST Group and can therefore draw on a global network of partners.